​Still have questions??? Check out this FREE e-book written by our friend Andy Wegman at Manchester Acupuncture Studio! It's called "Why Did You Put That Needle There?" ....and many more! If your condition is not listed here, give us a call to find out if we can help you! Acupuncture is an ancient therapy, and one of the pillars of traditional Chinese medicine. Treatments are comfortable, restorative and relaxing. It is a holistic therapy, which means it addresses the physical, mental, and emotional aspects of illness. ​ How does it work? An acupuncturist inserts thin, sterile needles in precise areas of the body. These needles prompt the body to initiate healing and promote health. 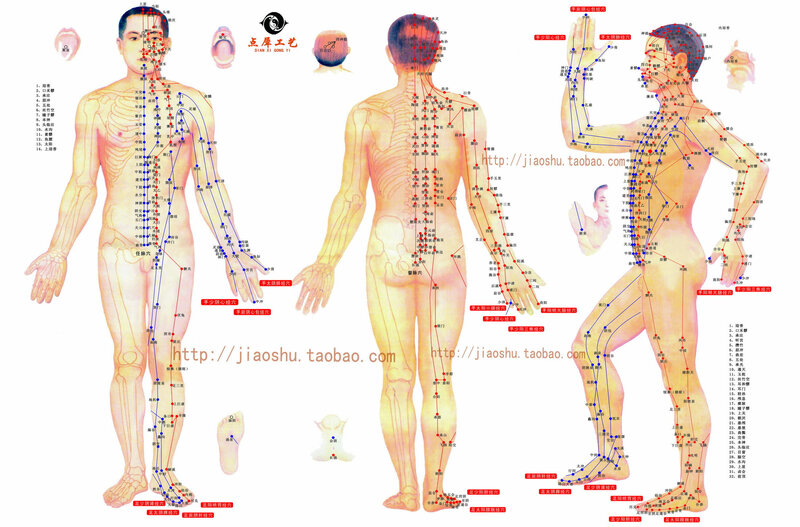 Acupuncture points are located on meridians on the body and function similar to a telegraph system. This system gives instructions to the body, directing its physiology. Endorphins are released, resulting in a feeling of deep relaxation. Acupuncture is great for relieving stress. According to many health experts, stress causes or complicates most modern diseases. Acupuncture is most effective for acute conditions when administered more frequently to start, and then less frequently as the condition improves. By lowering the cost of treatment, MetroWest Community Acupuncture makes great results more easily attainable. ​One thing you’ll notice is that your acupuncturist may treat different acupoints each time you come for a session. As your condition changes, so does your diagnosis. An average session involves the acupuncturist needling 5-15 points. Needles generally are retained for about 45 minutes. Each acupuncture session is tailored to the patient, your complaint, and the diagnosis made during the patient's intake. What is community style acupuncture? MetroWest Community Acupuncture is one of many community acupuncture clinics across the country. We are taking acupuncture back to its roots and providing care in a more traditional group setting. The aim of this type of practice is to make acupuncture available to the majority of the population. We believe that acupuncture doesn’t have to be expensive to work. It doesn’t have to be done in a private room to work. In fact, acupuncture works best when patients are able to commit to a course of several treatments. In our clinic, we treat in recliners clustered in groups in a quiet, soothing space. Treating patients in a community setting has many benefits: it’s easy for friends and family members to come in for treatment together; many patients find it comforting; and a collective environment is established by the group treatments making each individual’s treatments more powerful. Click on these links to learn more about community style acupuncture and the People's Organization of Community Acupuncture (POCA). One of the advantages of treating patients in a group setting is that we can keep our prices very, very low. We use a sliding scale system - you choose what you want to pay! Low prices also make it easier for those who need it to have more frequent treatments. Acupuncture treatments at our clinic cost $15-$40. First time appointments have an additional paperwork fee of $10. We also have a package deal for follow-up treatments - 5 treatments for $65. We accept cash, checks, and major credit cards. Payment must be made at the time of your appointment.